The orange pulp is added in fermenting cacao beans from Madagascar. Chocolate with double fermentation gain new aromas. 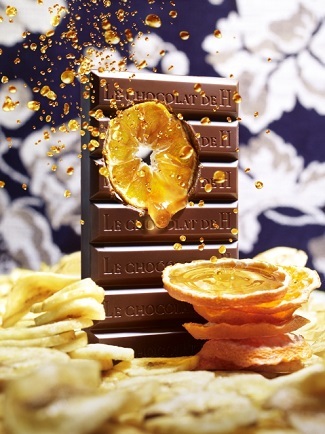 After concentration of orange and banana juice, fruity and high quality chocolate bar is created.